We asked executives in our Leader Program for a piece of advice they wish they had received at the start of their career and we're thrilled to be passing on the knowledge in this bi-weekly series, I Wish I’d Known. Aaron Weiner interviewed Los Angeles AWE Leader, Hannah Hieu, Senior Vice President of Design + Architecture/Culture and Engagement Advisor at Unibail — Rodamco — Westfield for a series on the future of retail over the next 5 years. A trusted thought-leader, Hannah leads a team that continues push the design envelope to create a retail experience that has never before existed. 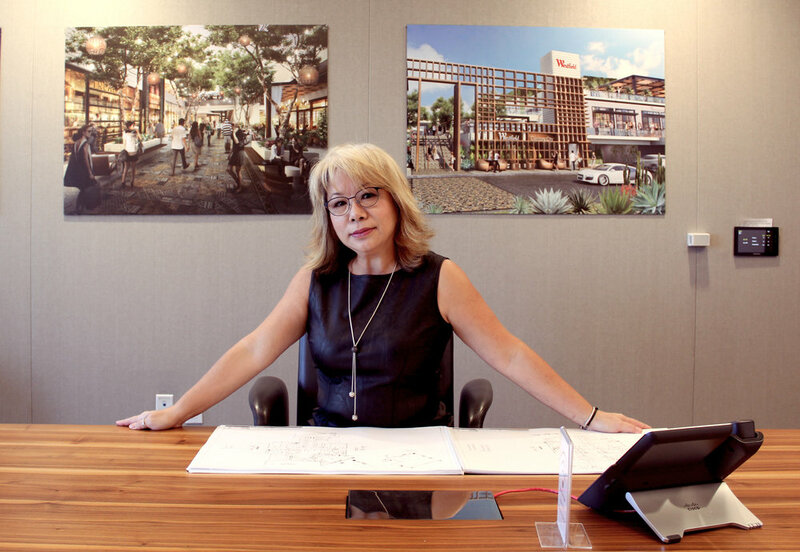 With over 20 years of experience in retail architecture, mixed used, hospitality and airport projects, Hannah has managed the creative and technical process of iconic projects such as The World Trade Center, Garden State Plaza, and San Francisco Center. In 2018, she was recognized as a Los Angeles Biz Journal Woman of Influence. Thank you so much for joining us! Can you tell us what brought you to a career in architecture? Imagine it like putting on Harry Potter’s invisibility cloak. It’s pretty cool, to be an observer for a day. Things become so much clearer after a day like that. We push hard every day with unlimited goals insight. We have to give ourselves the time and space to listen to our own body and mind. Admittedly it’s a lesson hard to learn and a habit hard to break, especially for women. But we must set examples, if we are leaders, we must set examples for those who look to us for guidance; if we are parents we must set examples for our children. Boundaries must be defined, respected, and honored first and foremost by ourselves. The original version of this interview was published in October 2018 on Authority Magazine. We're proud to announce that we’ve been partnering with Fragomen since 2016! Thank you for supporting AWE's mission to create more diversity in corporate America. Together we're increasing the number of women in corporate leadership positions and on boards to improve the global economy. Fragomen is an international immigration firm headquartered in New York and established in 1951. They specialize in providing a range of immigration law services to corporate and individual clients, and are recognized as the world's largest firm that focuses its practice solely on global immigration law. Fragomen has a long history of promoting women and ethnic minorities to prominent positions within the firm’s leadership. In the U.S., more than seventy-five percent of Fragomen’s employees are women and twenty-five percent are minorities. The American Lawyer ranks Fragomen’s U.S. practice as one of the top five law firms for ethnic diversity since 2012. In 2015, Law360 ranked Fragomen second amongst the top 100 firms for female attorneys in the U.S. based on the percentage of attorneys and partners that are women, and third among the best law firms for female partners. Law360 also ranked Fragomen second amongst the top 100 firms for minority attorneys, based on the firm’s minority representation at the partner level, non-partner levels, and total number of minority attorneys (2015).